Before her death, she’d been raising you and your two siblings alone. You take her to a hospital to be treated. And the doctor denies her care, not because her condition was incurable but because you are unable to pay the cost of her treatment. That’s exactly what happened to Alejandro Fernández Gutiérrez. At the hospital, before his mother could receive care, he was asked for $100 (approximately 700 Bolivianos). Unfortunately, he did not have the money to save his mother’s life. 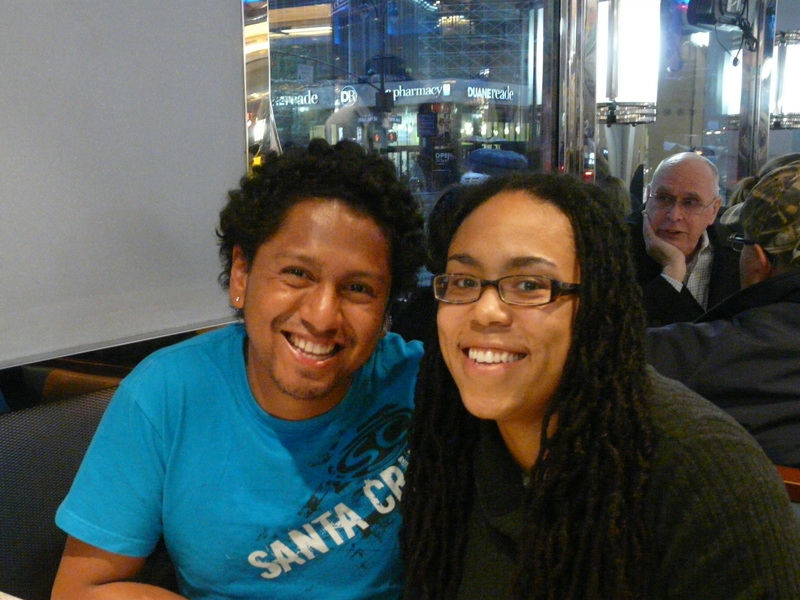 Nor did Alejandro’s family have health insurance which was unavailable to Afro-Bolivians. At this time in Bolivia’s history, Afro-Bolivians were not recognized in the country’s constitution. We needed help from the system, but the system wouldn’t respond to us,” says Alejandro. Alejandro bundled on his mom’s back, sister seated. Photo courtesy Alejandro Fernández. So his mother, Elena, described as a kind and peaceful woman, who had been cleaning houses since she was nine years old died that fateful day. That was the day when I decided to do something for my country and that was the day I changed my whole life and my whole perspective,” says Alejandro. Since then, Alejandro has earned recognition from the United States Department of State and The Bureau of Education and Cultural Affairs. He’s published works on HIV/AIDS prevention and graduated from the University of San Andres (Bolivia) with a degree in Social Sciences. At 26 years of age, nearly a decade after his mother’s death, Alejandro is a prominent voice advocating for Afro-Bolivians and a human rights activist. Although his mother’s death inspired him with a new outlook, changes didn’t happen overnight. Alejandro was hesitant to join the Afro-Bolivian movement, along with his uncle. However, Alejandro was becoming increasingly interested in his mother’s culture – a culture she never knew. 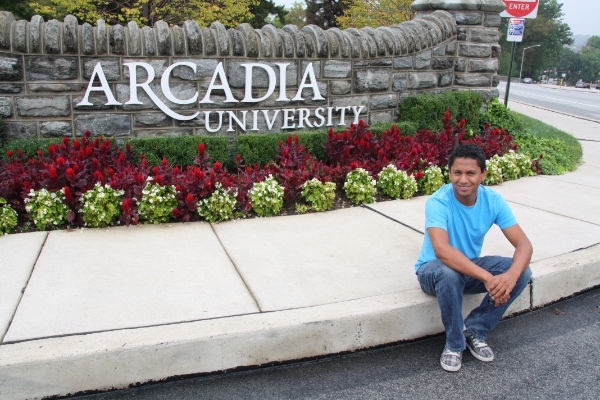 While gaining recognition as an advocate for Afro-Bolivians, Alejandro began university studies. He was the only Afro-Bolivian in his class. 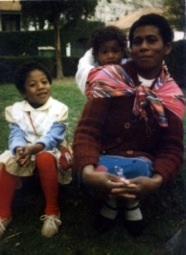 The only other Afro-Bolivian, at the college, was a female professor. Alejandro attended meetings and protests with the faculty. With Professor Rey, Alejandro was invited to meetings with The United Nations, Human Rights Commission and Bolivia’s Parliament. He felt compelled to share the lack of treatment his mother was provided at the hospital as well as the discrimination she experienced in her daily life. 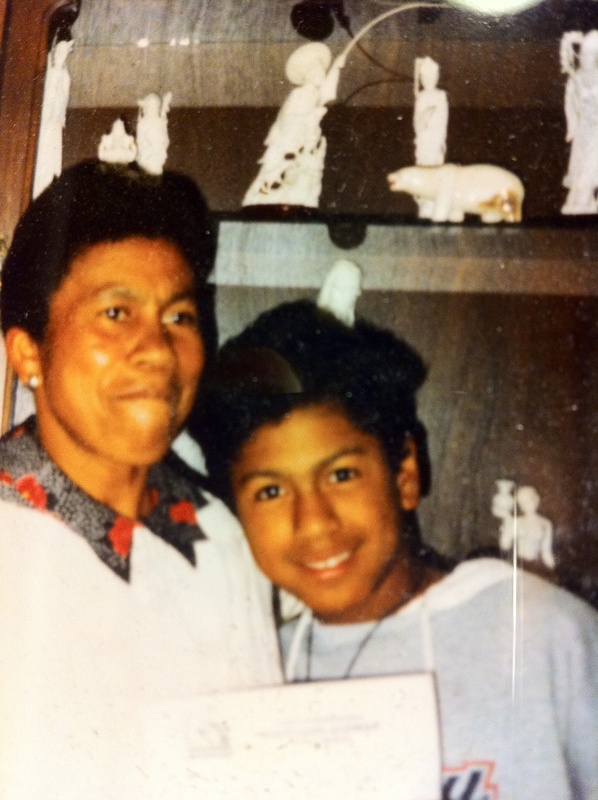 Alejandro describes his mother, Elena, as dark-skinned with short coarse, coily hair. She was so tall and her hair was so short that people on the street would sometimes call her a “señor.” They would also call her “El otro, (The other)” because they hadn’t seen a black person before. Alejandro’s mother suffered daily humiliation, even falling victim to the local discriminatory act of pinching. When people see a black person, they pinch themselves because they believe it brings good luck, “ says Alejandro. The act stems from slavery. Indigenous people pinch themselves as a reminder that when Africans were brought to Bolivia as slaves, their presence alleviated some of the discrimination and hard labor that had been previously performed by the indigenous population. But this was the culture in Bolivia. When Alejandro was growing up, Bolivian children weren’t even taught about slavery in schools. It was almost as if Africans just showed up one day. The connotation was that being Afro meant being a slave, being “el otro.” The country had created an atmosphere in which Afro-Bolivians and indigenous people were not only inferior, but also invisible. They had no rights, no insurance and little access to education. Fueled by these struggles, Alejandro has worked to better the lives of Afro-Bolivians and Bolivia’s indigenous populations. He worked with The Bolivian Foundation for Multiparty Democracy, The United Nations Population Fund (UNFPA) whose mission is to promote the right of every individual to health and equal opportunity, and other organizations. He has also written articles and has become an advocate for HIV/AIDS prevention and education. For five weeks, Alejandro interned with Peace and Culture in the American Embassy in Bolivia, working for Silvia Dáttoli. He developed two projects – “Juventud, Identidad e Integracion en la Diversidad (Youth, Identity and Integration in Diversity)” and “Manos para el Desarrolo (Hands for Development)” – that were widely successful and received tremendous amounts of attention. In the ten years since his mother’s passing, Afro-Bolivians have helped to craft a new Bolivian Constitution, which includes the most basic of human needs – recognition. Alejandro agrees that Bolivia’s President Evo Morales has worked to change perceptions about Aymara Indians and Afro-Bolivians, particularly in the field of education. However, Alejandro notes that President Morales still has work to do in many fields to help improve the lives of both groups, including access to health care. And while there’s still a lot of work to be done, the benefit of having Alejandro as an advocate for the community cannot be overstated. Very informative article on the Afro-Bolivian movement. i am interested in finding out more about the culture and will follow your blog as noted. Thanks to you and all the readers for your support. We appreciate it!